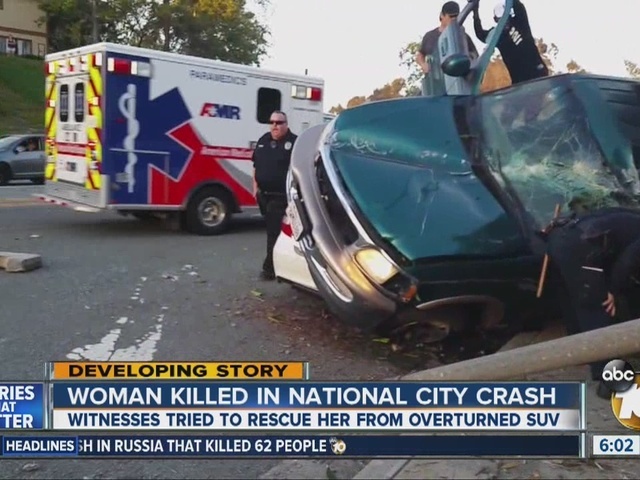 NATIONAL CITY, Calif. -- A woman was speeding and driving through red lights just before she was killed in a Saturday evening crash in National City, police said. But the wreck did not appear to be alcohol-related, officers said. The crash was around 6:35 p.m. on the 3700 block Sweetwater Road, near Calmoor Street. Witnesses told police the woman had been speeding in a Ford Expedition, and blew through a red light on Ring Road. Police said she was the only person in the SUV, and was driving at about 50 to 60 miles per hour. The vehicle flipped, smashed into a pole and landed on another vehicle, according to officers. 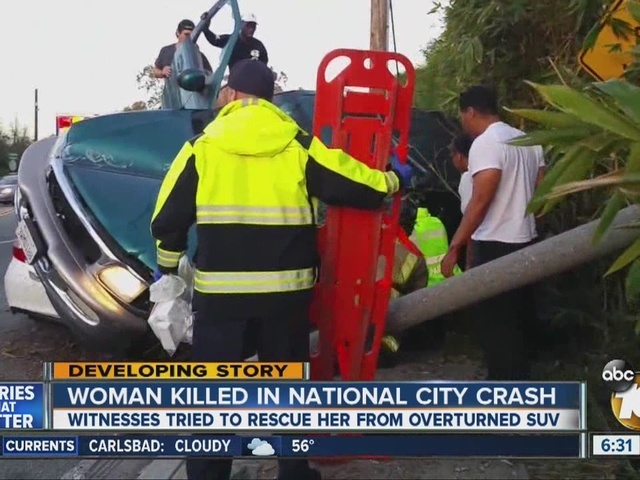 National City fire crews removed the woman from the vehicle, but she was pronounced dead at the scene from her injuries, police said. The county medical examiner's office did not immediately release her name. However, family identified her to 10News as 26-year-old Britney Munoz.